The World’s eyes will turn to Brazil in less than two weeks. But what will they see? Yes, the World Cup, of course. It is hard for anything to coexist with the biggest tournament on Earth. But they will also see, perhaps more than ever, the nation playing host. 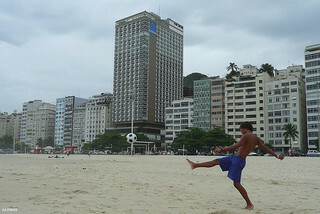 The World Cup, which at times has defined Brazil’s progress, has brought turmoil instead. Inside the stadiums they will play games, but outside there will be protests. Futebol Nation, by David Goldblatt, provides to the outsider context and backstory for the country that more than any other is inseparable from the jogo bonito. The easy text to put here is: not much. Azerbaijan sat back, parking the bus in a way that none of the US’s group stage opponents will do. Forced to break down a staunch defense, the U.S. often struggled, but we learned little about how they’ll exploit the counter. That said, some things are worth noting. -Two minutes. That’s all that separated Atletico Madrid from an improbable double, the Champions League in addition to their La Liga win. If you put down a $10 bet on said double at the beginning of the season, you were two minutes away from $60,000. Diego Godín’s header, and Iker Casillas’ mistake gave Atletico a 1-0 lead. For most of the second half, it seemed like Atletico’s staunch defending would be enough to hang on. It helped that Real Madrid’s best chances fell to Gareth Bale, who had a couple horror misses. But in the 93rd minute, on a set piece, an area of strength for Atletico, Sergio Ramos found space. His header just inside the far post was only an equalizer, bu it didn’t feel like that. The eyes of the soccer world, from August to May, are on the northern hemisphere. Europe, the birthplace of the game, is home to the world’s best leagues, and it is there the best players ply their trade. But in the summer, and come the World Cup, South America is every bit Europe’s equal. This summer, soccer’s showcase returns to Latin America for the first time in nearly three decades, and the continent is favorite to win, be it Brazil or Argentina. 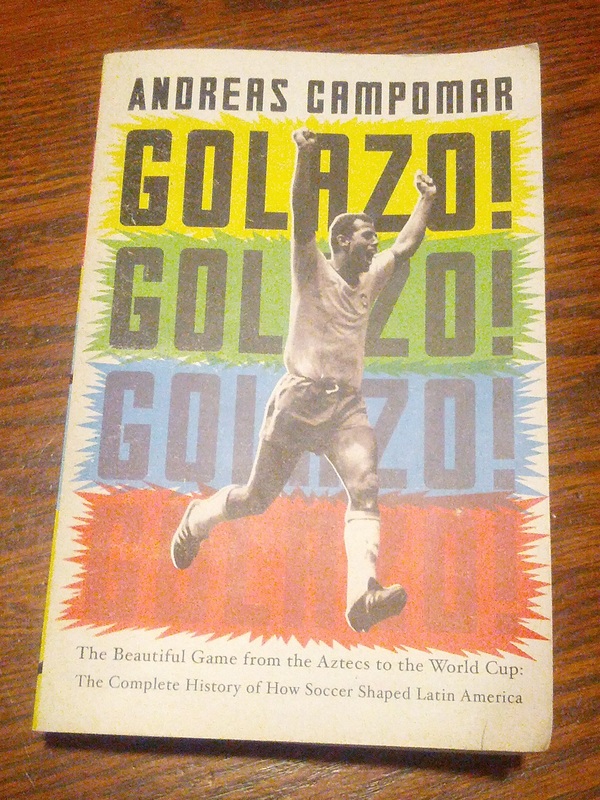 Golazo: The Beautiful Game from the Aztecs to the World Cup, by Andreas Campomar, tells the story of how that came to be. There’s a lot of violence. Obafemi Martins took home goal of the week in MLS for this effort. But what did goalkeeper Jon Busch think? Meanwhile, in Russia, wizards are now allowed to play in Premier League. That’s Pavel Golyshev with one of the best assists you’ll ever see. In theory, the announcement of a World Cup squad should be a fairly joyous occasion for the 23 players selected. But in practice, and especially when a 30-man roster is released before, the focus goes to those left out. They are fewer in number, and the inherent conflict of their exlcusion is easier to write about. When one of those so-called snubs scored the most important goal in your country’s history just four years earlier, well… But there are American soccer players not named Landon Donovan. And they are important too. Seven of the 23 players on the World Cup Squad are younger than 25. Almost a third. For comparison, hosts Brazil feature just three such players. The same holds true for Argentina. Defending champions Spain have just five. The US squad is fairly young, in other words. And youth brings with it surprise and suspense. Over the course of your life, you’ll see hundreds, maybe thousands of goals. But some goals are more than just goals. Mas que un gol, if you will. Sometimes, you need to do no more than mention the player’s name, and everyone knows the goal you’re talking about. These are the goals that stick out in your memory forever. This is one of those goals. The sequence starts with a free header for Algeria. No, it starts with the goal ruled offside earlier in the game. No, it starts five days earlier, when Maurice Edu’s potential winner was disallowed against Slovenia. Without that, none of this happens. 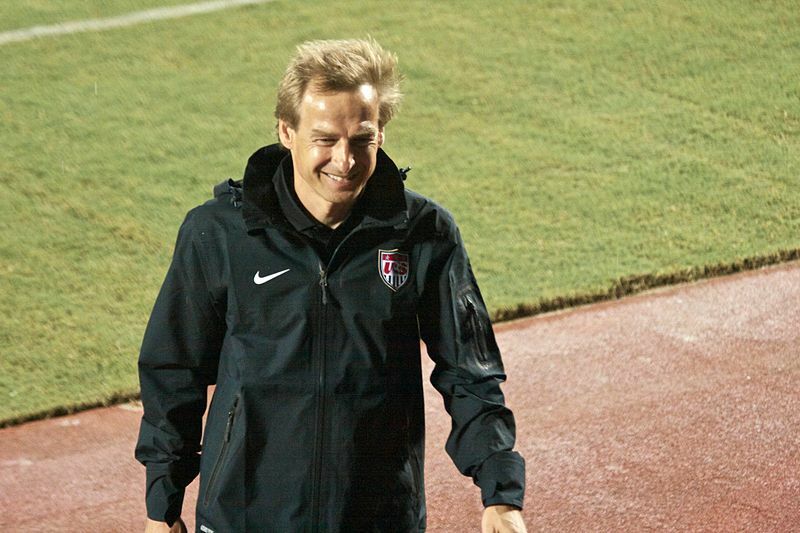 If the U.S. had defeated Slovenia, a draw in their last game would have seen them through to the second round. Little did we know at the time that the ref was doing U.S. soccer a favor.